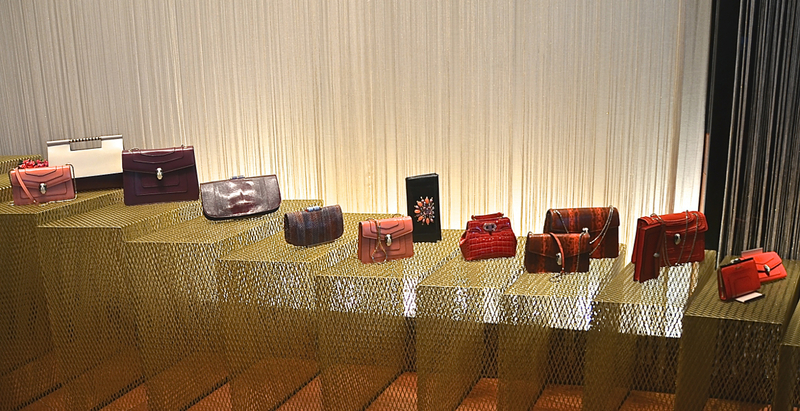 And that takes me to Bulgari’s new bags for Fall Winter 2014- 2015. 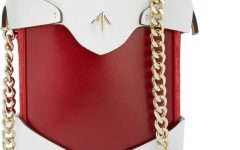 This will have to be my favorite bag for this coming season– and it comes in my favorite color too, so it’s a double yes! The Serpenti Scaglie Day Bag is inspired by Rome and inspired as well by the Serpenti (snake) hence the signature hard handle. The side’s triangular shape is likewise inspired by the sugarloaf cabochon shape of jewels which Bulgari is very known for. The bag can be hand- carried and the strap also can be extended for shoulder carry. 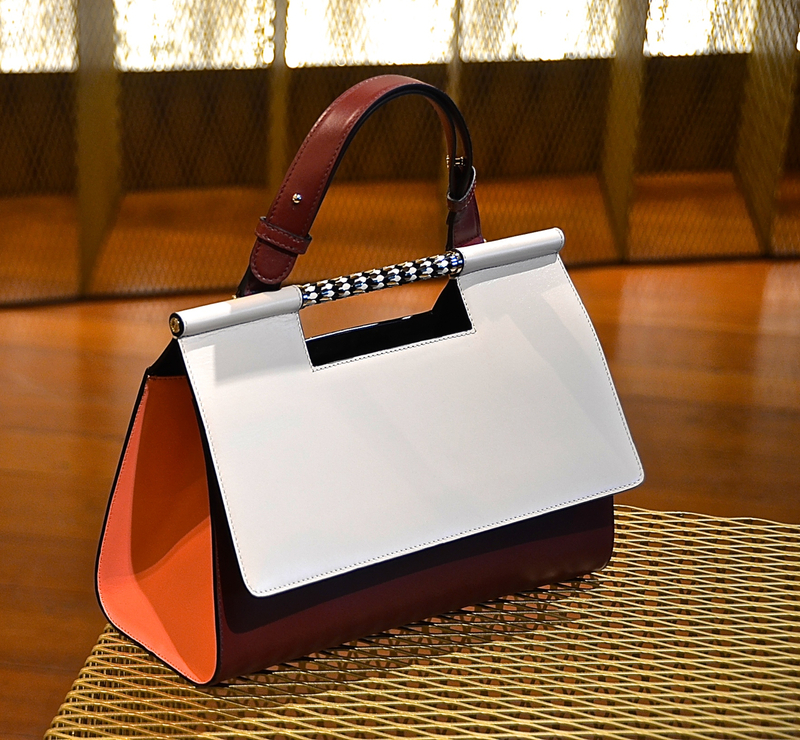 The bag is very reminiscent of the Celine Edge, but this Scaglie is way classier and sleeker! I looove this bag!! One of the other classic pieces in the collection is the lipstick clutch and this season, the patchwork is introduced, which is meant to recreate jewels– again note the integration of jewellery (the designs) into the bags! And beside the lipstick clutch is the mini Isabella Rosellini bag in royal blue alligator skin. It’s a very striking bag, small which makes it perfect for evening carry. Another favorite in this upcoming collection is the Serpenti black- on- black with that plissé look. The origamic technique mimicks the scale of the snake and makes the bag a lot more intricate and special. That same technique is also applied to the Diva bag in lizard leather. These 2 ultra- nero (black) bags are so rock chic, especially with the incorporation of ruthenium plating on the hardware! 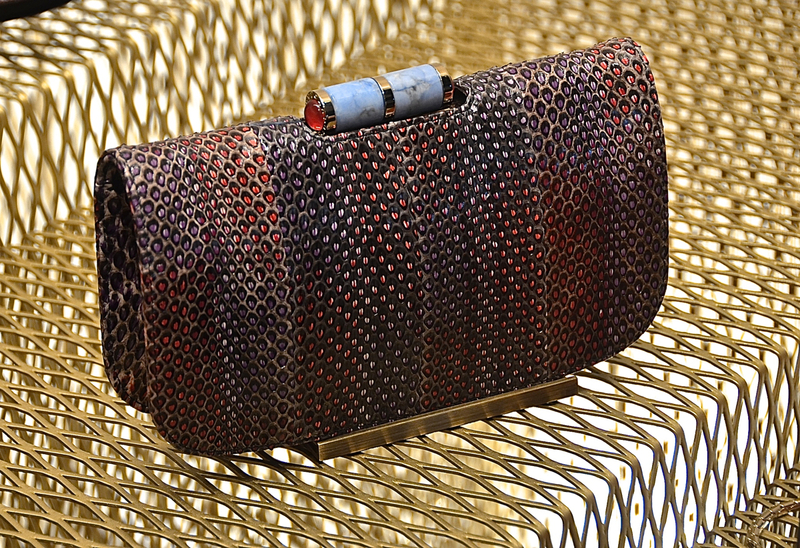 Another lipstick clutch in exotic skin. The color treatment on this clutch is very unique! 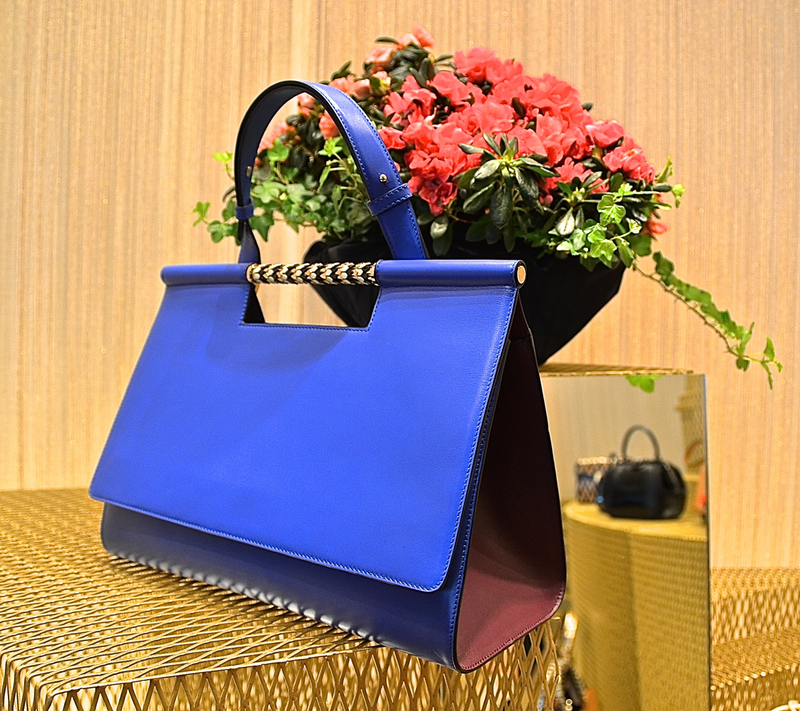 Another color combination of the Bulgari Scaglie Day Bag. I still prefer the royal blue! 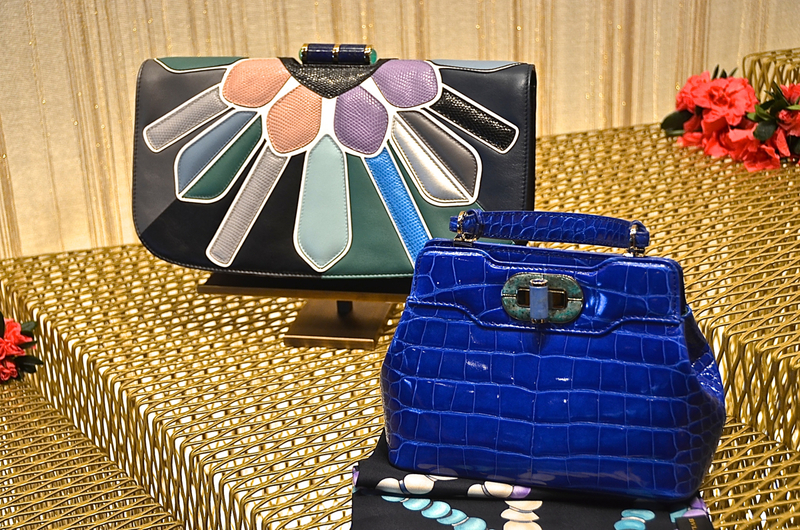 This is part of the bag lineup of Bulgari for Fall Winter 2014- 15. 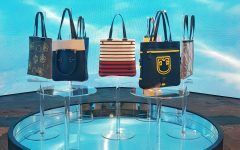 With the Scaglie Day bag, the collection has to be one of the strongest ones I’ve seen to date!